When you think of Egypt – pyramids, the Nile River, the Sahara desert, and camels are what immediately come to mind. I always wanted to visit Egypt, and when On the Go Tours offered me the opportunity to go on their Abu Simbel Sun festival trip, I jumped at the offer. I had some impressions in mind, but I wasn’t prepared for was how excellent the food was, how hospitable the people were, how rich the history was and how luscious and green parts of this ancient country are. Unfortunately, Sarah didn’t have the opportunity to go along this time, so I was traveling solo. I am not adverse to going places alone, but sometimes it is nice to have companionship along the way, and going with On the Go Tours makes this easily possible. 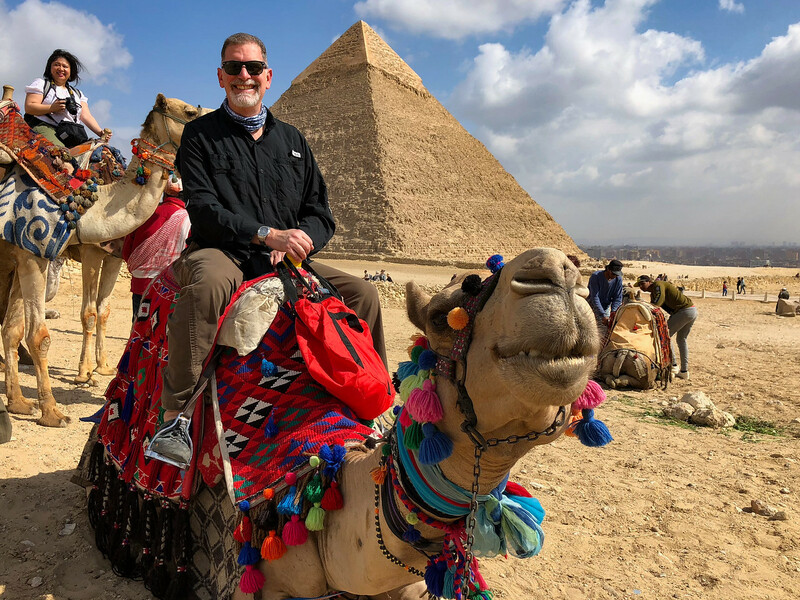 This Egypt trip was my second journey with On the Go Tours and, this time, I opted to allow them to set me up with a roommate. Sharing a room is a good way not only to save money, but it is also a great way to get to know new people. 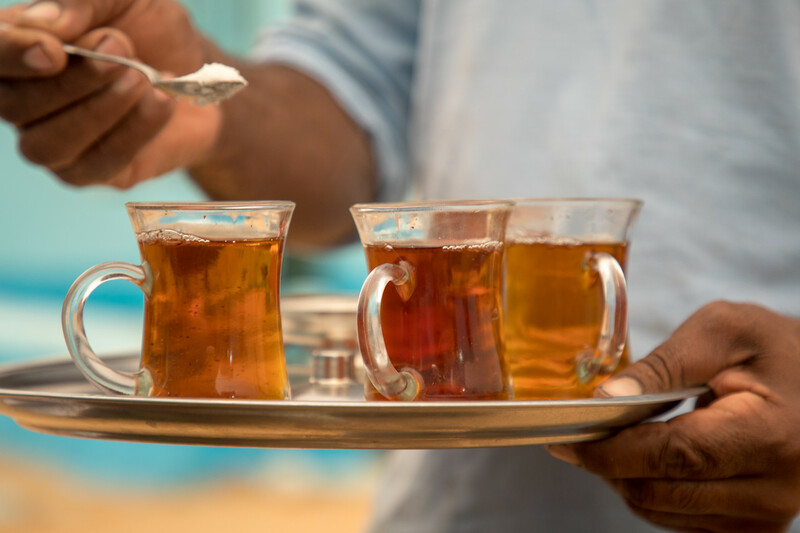 As an over aged fifty traveler on a group tour, there is sometimes concern that you will be put into a situation where you are forced to travel with people you have nothing in common with, or don’t quite click with. 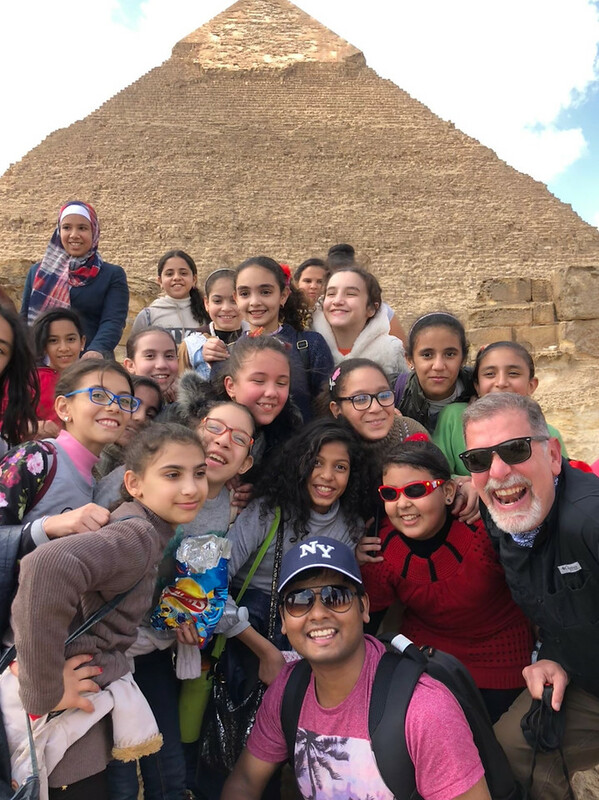 On this Egypt trip, I found myself traveling with a fun group of people who enjoy a little adventure, a little bit of luxury and love seeing the world, experiencing new cultures and learning about this small planet we call home. In other words, people like me. My roommate, Nirmalya, was a thirty-year-old native of India, who is an IT professional working in London. The others on the trip ranged in age from mid-twenties to mid-seventies and hailed from all over the world; from South Africa to Canada. Our backgrounds were all quite diverse, but since we were all travelers, by the end of our trip we had all bonded in a way that only travel can offer. I have kept in touch with many of the others on this trip, and we are already talking about doing some sort of reunion tour somewhere in the world. Nirmalya is even planning to visit Sarah and me in Portugal! As my second trip with On the Go (the first being in India), I have found that they excel at finding friendly, professional and knowledgeable guides. Our guide for the Abu Simbel Sun festival tour, Alam, was not only an exceptional guide, but he was also a certified Egyptologist. He not only kept things running smoothly, but he also brought us together as a group and made the experience even more entertaining and fun. Alam even won the On the Go Tours Annual Tour Guide Award for Egypt in 2017. Way to go Alam! I am an extremely experienced traveler and like to experience the full spectrum of what traveling offers. I still love my solo adventures, hopping around the world with Sarah and sometimes I enjoy having someone like On the Go Tours take care of all the logistics so I can simply go along with the flow of the trip. 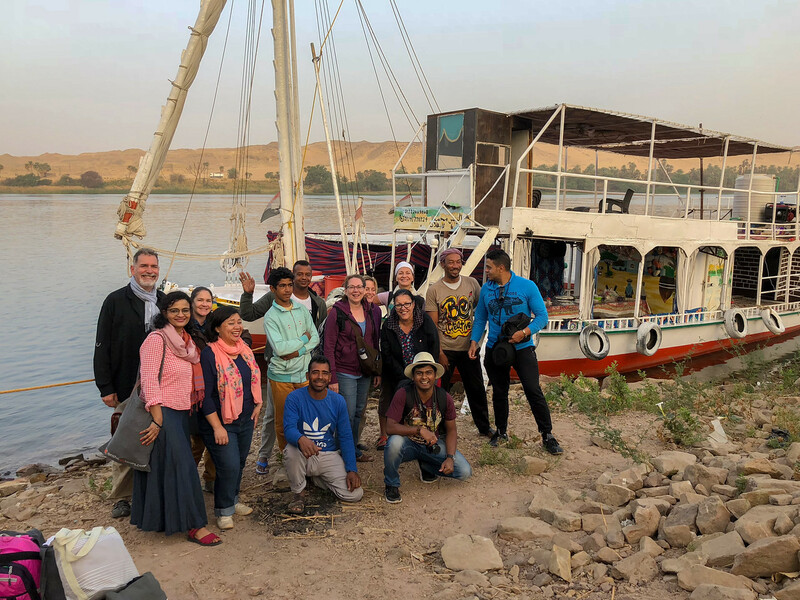 From our nights on a simple felucca in the Nile River to our Five Star accommodation in Aswan, I loved the variety, and this trip gave me an excellent feel for Egypt. I would love to go back! I was riding a felucca on the Nile as a guest of On the Go Tours on the Abu Simbel Sun Festival Tour, which is an easy, and a very enjoyable way to experience Egypt. Also, On the Go is offering an exclusive deal for LifePart2 readers – save $100 off any Egypt tour with On The Go Tours! Head over to their website to find your perfect itinerary and get in touch, quoting “LifePart2” to get your discount. You can see more photos of my trip to Egypt here. i absolutely enjoyed reading about your experience in Egypt.The writing was easy to understand,free flowing and entertaining.There is a great balance of much needed information,pictures,personal thoughts and ofcourse humour.Well done.Keep travelling.